Happy National Coffee Day! Let’s celebrate with some delicious homemade frappuccinos! I love Starbucks Frappuccinos. I would happily drink them every day. Unfortunately, my budget does not allow me to drink anything from Starbucks every day. It’s definitely more of a treat. That’s why I have started making my own Copycat Mocha Frappuccinos at home, using just a few real food ingredients. I start with strong coffee. 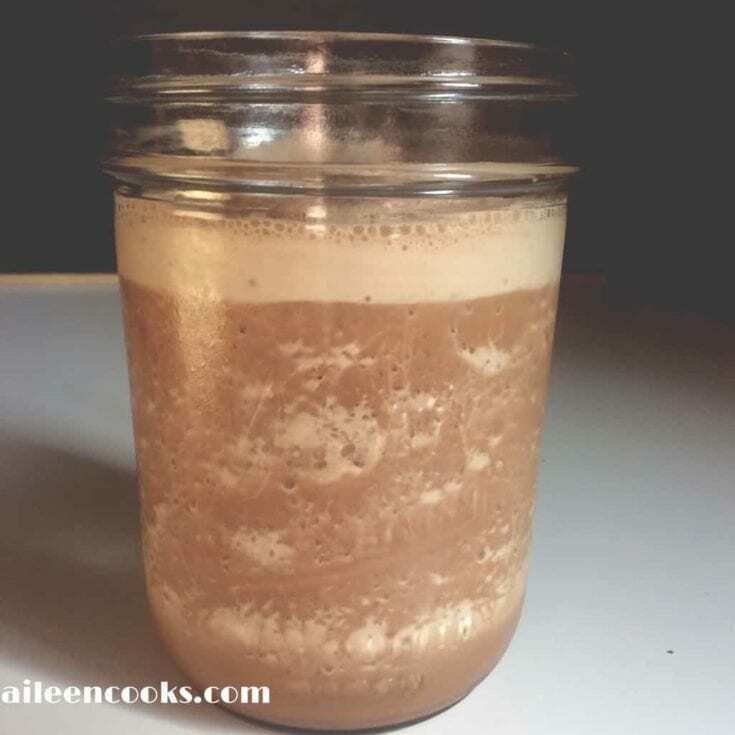 You can use hot brewed coffee that has been cooled down in the fridge or cold brewed coffee. The only requirement is that it is really strong. You don’t want it to taste too watered down by the ice. Blend the coffee together with milk, cocoa powder, and maple syrup. Once it’s well blended, add in some ice and blend it again. If you want to get really fancy, top it with some whipped cream. I usually skip this part so I can justify drinking one whenever I feel like it (at least, that’s what I tell myself), but it’s even better with whipped cream. Make your favorite Starbucks Frappuccino at home with this easy homemade version. 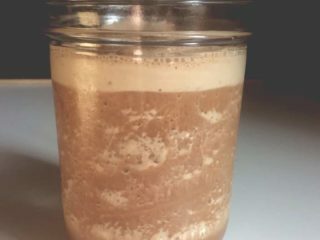 Combine the coffee, milk, maple syrup, cocoa powder, and vanilla in a blender. Blend well. 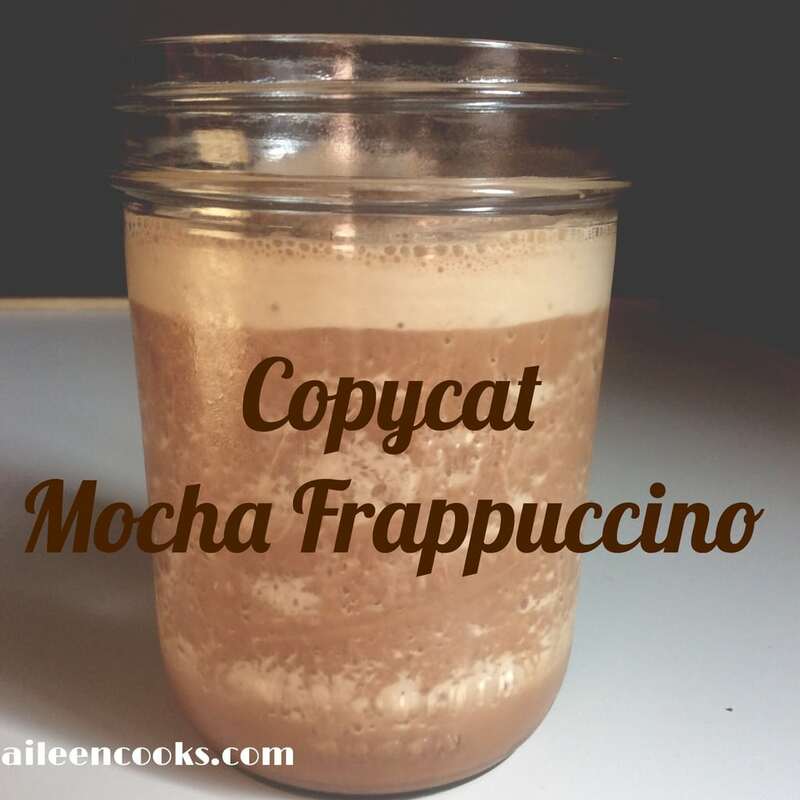 That’s it, a super easy copycat recipe for mocha frappuccino. Let me know what you think. Source: Adapted from The Pioneer Woman.